Got the glow in, forgot I need to rotate the moon so looking into that. Happy that you can see the moons reflection in the water. Well the stars went in. I think one of the problems is that the current cheap sky shader doesn't go to black, so time to write a new sky shader then look at it again. I realised I wasn't handling star magnitude properly. 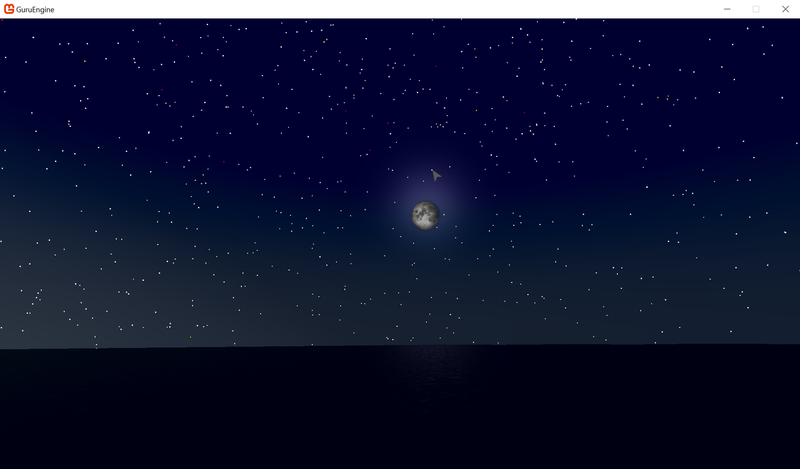 I was just using it to calculate an alpha value to draw the star with, now I use it to change the size and alpha. 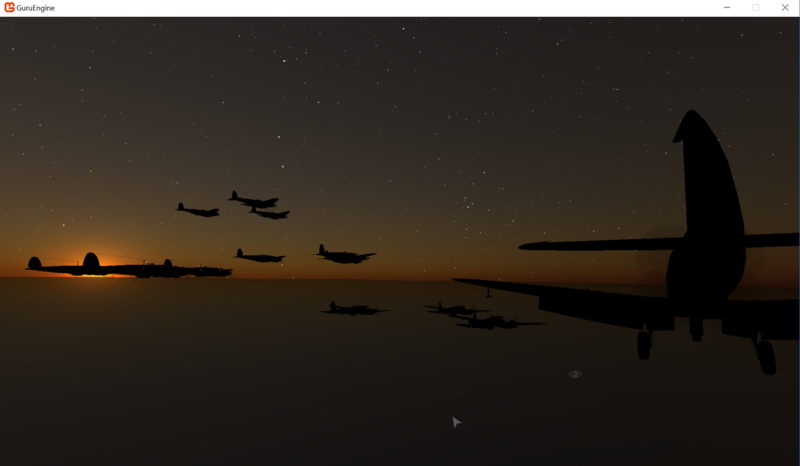 So added a new sky shader which you can swap to in the render settings, and it looks much nicer. 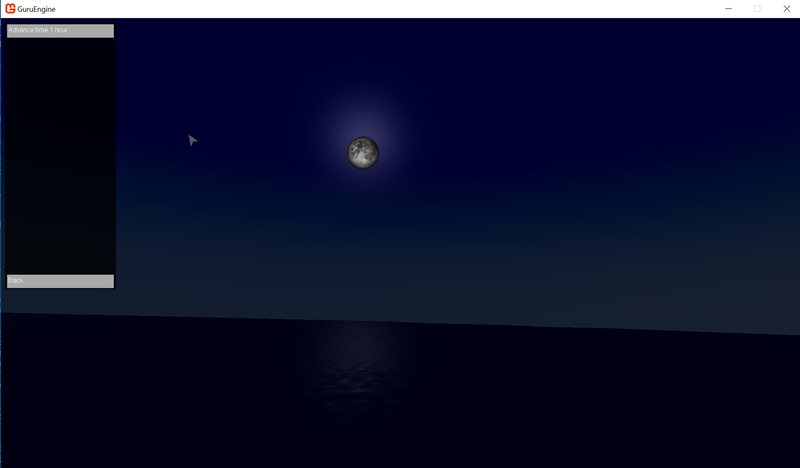 EXCEPT .... it has shown up major issues with my ocean shader, which I now have to fix. I have now words to describe how I admire your work! I hope that one day I will be able to fly in your virtual skies! It's always interesting to come here and check your progress reports! Impressive for one person to create a completely new flight simulator, I really hope you'll pull it through! I also render with a colour which is currently white, when I figure out how to calculate partial lunar eclipses I can modify this colour to give us blood moons. This maybe a typo here, but just to be sure. Partial lunar eclipses dont cause a blood moon. Only full eclipses will do that, partial only takes a circular chunk out of the full disk. The red of the blood moon comes from light bend through the Earths atmosphere and is really only visible during a full eclipse. In a partial one the faint red light gets drowned out by the still lit part of the moon. yes, I was caught up with the TV reports and got the terminology wrong. Cool site. It also has data on planetary transits for the inner planets and 12 years of ephemeris data for all the planets, if one wanted a completely accurate sky. 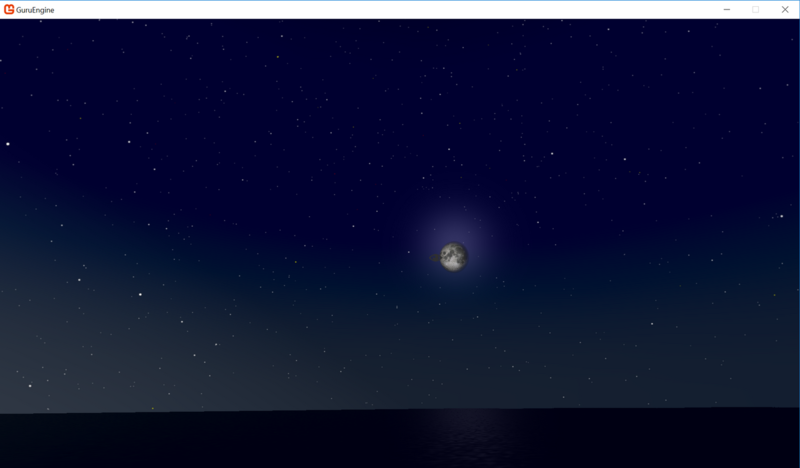 With that sort of data, even if Stainless builds a crummy flight simulator, he's still got a great astronomy sim! One that can handle missions like this?